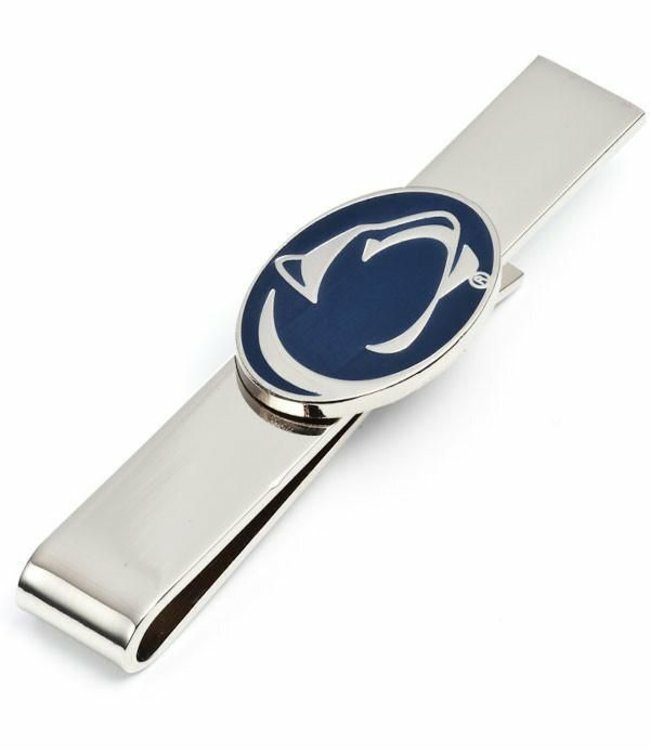 Penn State Accessories - Nittany Lion Tie Bar. Silver and enamel logo. Approximately 2" x 3/8". Rhodium plated sliding tie bar.